Most people don’t know that they should be sharpening their mower blades fairly often. More specifically, it is recommended that you sharpen these blades at a minimum of three times per season. The best way to know if it is time to sharpen your blades is by looking at the grass after you mow. If the grass blades are dull, you can tell because the top of the grass will be frayed and white. Think about it this way: If you accidentally cut open your finger, would you rather do it with a knife that is sharp or one that is dull? Chances are you would prefer the cut to be made with a sharper knife as the cut would be cleaner. When the blades are not sharp on a lawn mower, this same idea applies. The grass is being town rather than cut which causes trauma. This does not allow for the grass to be as healthy as it could be and therefore will prevent your lawn from looking as lush and green as you desire. If you are unsure how to sharpen the blades on your lawn mower, seek counsel on the internet. 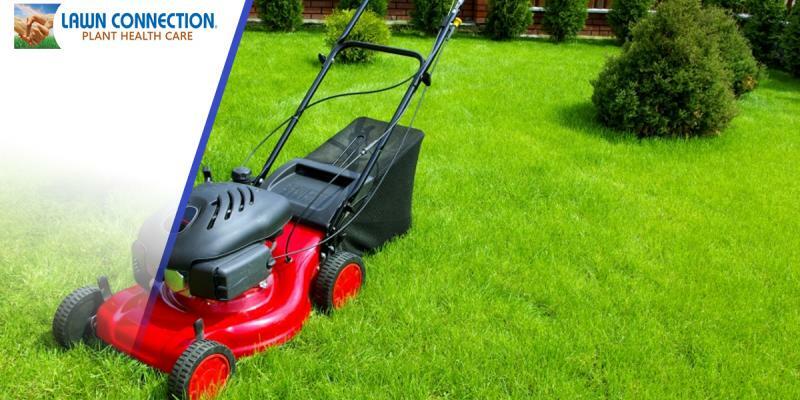 There are plenty of resources that can educate you on this process and how to do it correctly.If you need help getting your grass back to a healthy state after a lawn mower disaster (and believe us, they happen) call Lawn Connection today. We can help you with all of your lawn-related needs!